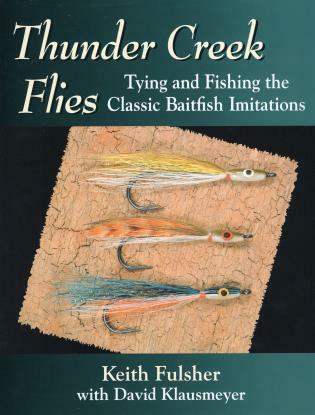 Based on Fulsher's Tying and Fishing the Thunder Creek Series published in 1973, Thunder Creek Flies is a completely revised edition of the fly-tying classic, with nearly twice as many patterns and striking color photographs by David Klausmeyer to demonstrate the unique Thunder Creek style of tying. New materials and techniques make it easier to create sleeker, better-swimming flies that look and act like real baitfish. With details on constructing the twenty-two freshwater flies and six saltwater designs, descriptions of specific baitfish they imitate, and large glamour shots of each pattern, this book showcases some of the most effective flies an angler can use. Keith Fulsher grew up in north-central Wisconsin, where his father and uncle introduced him to fly fishing for wild brook trout. He currently lives in Eastchester, New York. Dave Klausmeyer is the author of Guide Flies (978-0-88150-582-5) and Tying Classic Freshwater Streamers (978-0-88150-596-2). He lives in Steuben, Maine.